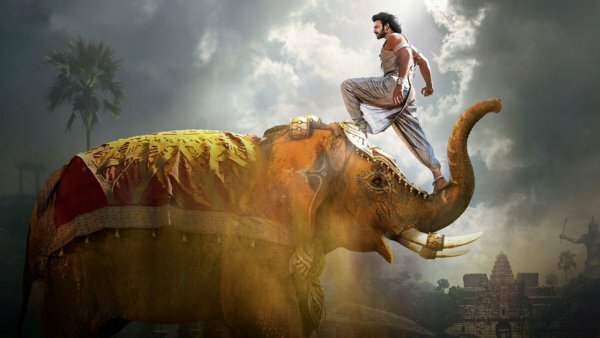 Bahubali 2 Full Movie Leaked: Baahubali 2: The Conclusion has been released and with it, the biggest mystery of the decade is over. Fans were eagerly waiting for the answer to the question ‘Why Kattappa killed Baahubali?’ Those who have watched the film have got their answers. While those still want to know should book a ticket and watch it in theaters. However, like every time when big production releases, it struggles with online piracy. The same thing happened with Baahubali 2. Firstly, a cleverly edited 1-minute-50-second video went viral. Thereafter, a complete 50-minute part of the movie got leaked and someone posted it online. It started making rounds. Now, the video containing the most-sought mystery has been released. Then, came the video which shows Kattappa killing Amarendra Baahubali. Kattappa executed the murder because Sivagami ordered him to do so. KRK revealed the answer tweeting on his official twitter handle. Every filmmaker takes precautions against the piracy, so did SS Rajamouli and team. But, somehow, someone did it again. All the videos are now available on illegal watch online and free download sites. Check: Baahubali 2 Movie Review. Since the release of Baahubali: The Beginning, the mystery of why ‘Katappa needed to kill Bahubali’ kept fans waiting with eagerness. They all had the curiosity and interest to know the answer. Two years passed but it didn’t leak. SS Rajamouli took strict precautions. But, after releasing the movie, it seems that they failed. Check: Bahubali 2 box office collection. Irrespective of the leak, the movie is on fire at the worldwide box office. The magnum opus created a record by selling advance tickets of worth $1 million in just 24 hours of opening the bookings. And it looks like it will earn somewhere around Rs. 100 cr worldwide as its first day collections of Bahubali. The complete report and breakup are here. In the low-quality video shot, Kattappa can be seen pleading to Sivagami to cancel the orders of the ruling king, Bhalladeva, to execute Baahubali. But, it seems that Sivagami and Bhalladeva were involved in the murder at the hands of Kattappa. It could be a political game where Sivagami didn’t understand completely and ordered her slave-warrior to kill Baahubali. Such leaks will certainly hit SS Rajamouli and the entire team and people associated with it. They would be trying to curb the leak getting viral on social media and messaging apps on priority. Stay tuned to TheReporterTimes for latest Tollywood news and entertainment updates around the world.